152 pages, 197 colour photographs. PDF format. Viewable on any device with a PDF reader. Your dream is to ride. You can do it…. Horse lovers, minimalist adventurers, the curious AND the sceptical will find this instructional photo book informative and enlightening. 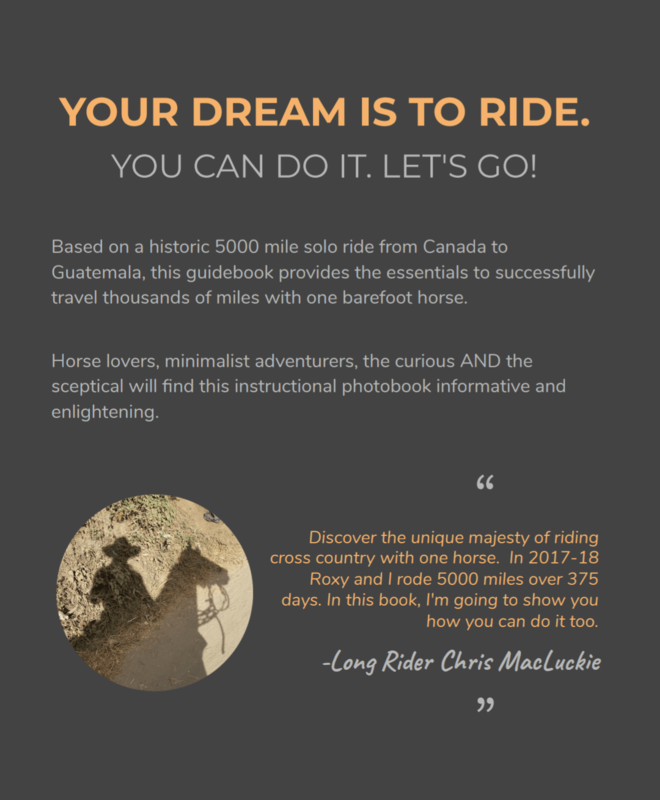 Based on a historic 5000 mile solo horse ride from Canada to Guatemala, this ebook book provides the essentials to successfully travel thousands of miles with one barefoot horse. Here you learn about the essentials to your trip in detail. The flex panel saddle with suspension seat; easyboots with custom add on soles; how to pack light; and schedules to follow for easy travel. 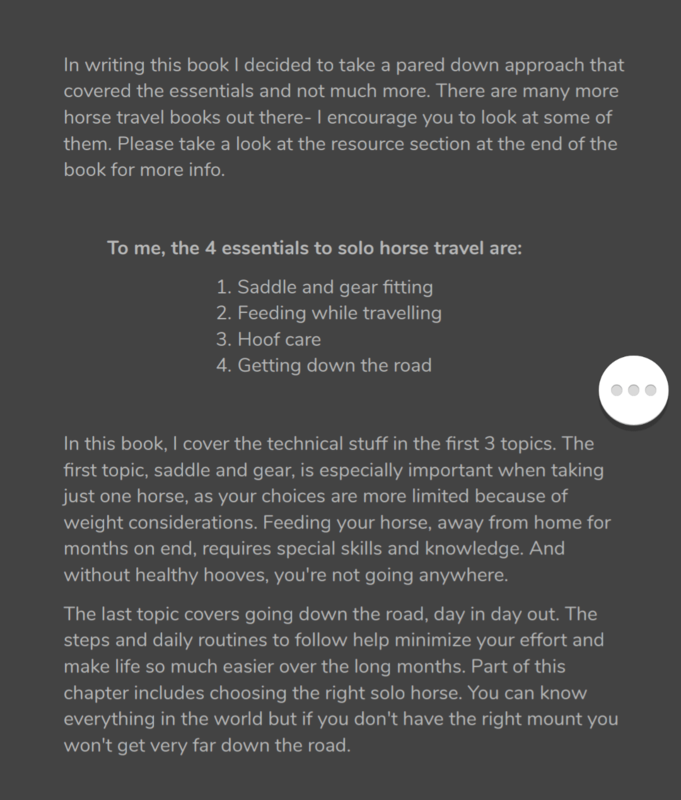 Solo and barefoot horse travel literature is hard to find. 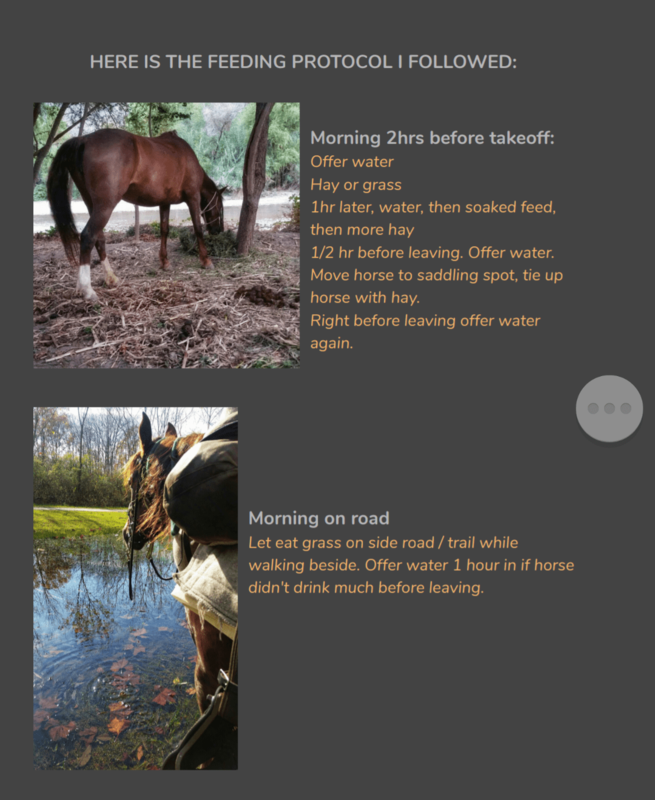 This concise and thorough book outlines the conditions for outstanding travel with ONE UNSHOD horse. Thank you for visiting 5000 Miles of Hope and supporting our horse travels. This book is special to me- here you will find the essence of how we travel for months on end while keeping your horse healthy and happy. Take a look inside the slider for more info and example pages.